Thanks Rene for the beautiful badge bling! This makes going to work a little more fun, and keeps my boy close to my heart. This entry was posted on Saturday, June 20th, 2015 at 3:59 pm	and is filed under Uncategorized. You can follow any responses to this entry through the RSS 2.0 feed. You can skip to the end and leave a response. Pinging is currently not allowed. Oh, I want one of those. 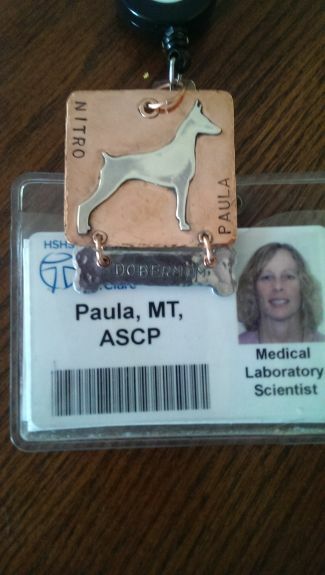 I have to wear a badge too and it would be cool to take Maggie to work with me. Anypawdy interested can find this item and much more in the Tripawds Etsy Store. SO awesome! If I had a badge I would want one too!